You are going to Watch Golgo 13 Episode 48 English dubbed online free episodes with HQ / high quality. Stream Anime Golgo 13 Episode 48 Online English dub Ebony Eyes.Mafia boss, Thomas Grebbick has annoyed his superiors who send their three hitmen to kill him. To protect himself he sends his own, Ron, who kills them. In retaliation the bosses hire Golgo 13 to kill Grebbick. While Golgo evades Grebbick’s goons, Ron’s girlfriend recognises Golgo as her child’s father from a previous sexual encounter. and she begs him to just take a glance at their child. Grebbick uses this arranges to meet Golgo to persuade him to switch sides or the child will be killed. Instead Golgo completes his contract and shoots Grebbick and Ron accidentally shoots his girlfriend while trying to kill Golgo. All the goons are killed leaving only Golgo and the child. 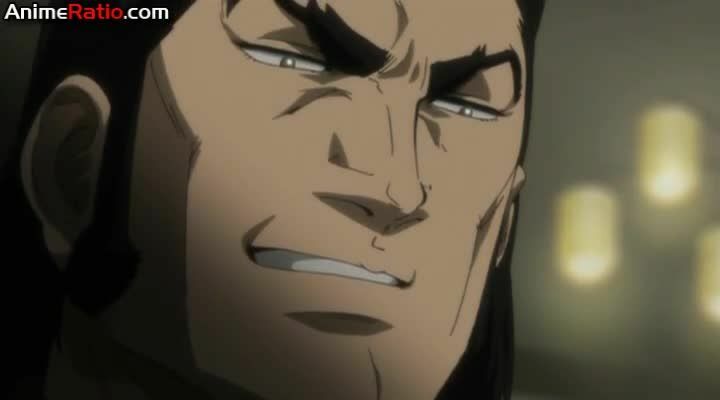 After glancing at the child Golgo leaves.